Product Examples | Medical Devices and Biological devices | Kyosei Co., Ltd.
Catheter core wires, catheter pipes, titanium plates for brain surgery, electrodes for medical equipment, plates for regenerative medicine, wire processing for medical applications, medical equipment connectors, metal masks, flow channels, etc. Are you facing these types of problems? You want to make innovative products with previously unused configurations or materials. You want to create prototypes and conduct mass production at a low cost. You want to make pipe holes without burrs. You want to create complex shapes using titanium. You want to form flow channels. You want to perform detailed processing of magnesium pipes. You want to process hard surfaces. You want to perform antimicrobial surface processing. Kyosei’s Photoetching Technologies Can Address These Issues. Complex and detailed processing on the micron level is possible. There are no burrs or deformation caused by processing and the finish is clean. Compatible with a wide range of metals. No dies are needed, making it possible for low-cost and small-lot production with quick delivery times. Micro centerless processing makes possible high-precision wires with a fine diameter of 60 µm. Photoetching offers advantages compared to long taper processing. Numerous materials are supported including stainless steel, titanium, and tungsten. Catheter pipe processing is performed by etching. Various types of processing including grooves, holes, steps, and slits are possible. Etching can be used to process a variety of pipe materials including magnesium, titanium, stainless steel, and aluminum. Etching can be used to create titanium plates with complex layouts and multiple holes. Compared to other forms of processing, etching is superior for creating multiple holes in terms of quality and cost. In addition, etching does not create burrs. Etching can be performed with one or two types of titanium plate. Etching can be used with flat, three-dimensional, or any shape of electrode. In addition to precious metal electrode etching, cutting and laser processing are also offered. Cell culture plates are suitable for etching. Stainless steel pipes, wires, and various other configurations can be worked. Medical wire processing is performed by etching and cutting. Supported materials include magnesium, titanium, stainless steel, and aluminum. All processes from design to assembly of connectors for equipment components can be performed. Total support including etching, resin molding, pressing, and assembly is provided. Kyosei can perform coating using micro centerless processing. Hole formation and slit processing on various types of pipes can be performed. Kyosei can make pipes from magnesium (a material that is attracting attention for its ability to have no negative effects when absorbed in the body), which is not compatible with laser processing. Kyosei has the ability to manufacture medical wires with a minimum diameter of 30 ㎛. Even difficult to machine materials can be processed including titanium alloys suitable for medical use, cobalt-chromium alloys, and magnesium. 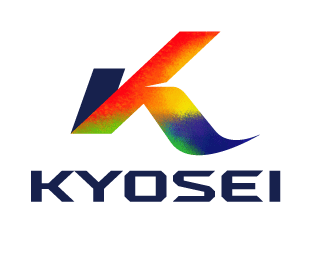 Kyosei specializes in etching three-dimensional shapes such as pipes and fine wires. Prototypes can be delivered in as few as three days. Kyosei is able to provide low-cost mass production with domestic quality. Kyosei has specialists in a range of fields who can respond to diverse requests and consultations.